There are moments as we grow up as individuals that we forget that motherhood was also a choice for our mothers. A young child has utterly no defences, and mothers wean, care, bathe and nurture most of our growth in our early years, without discounting the role of fathers and other caregivers. In this age of entitlement, here’s a reminder on why you absolutely don’t deserve a mother’s love, and why your gratitude should be endless. #1 – Women Dedicate Their Lives As Mothers And Nothing Else, But What’s Next? Whether by fault of society or conditioning, a woman’s idealised life is as a mother. There’s no guidebook to this, but only an inherent understanding that everything a mother does is for the child’s best. 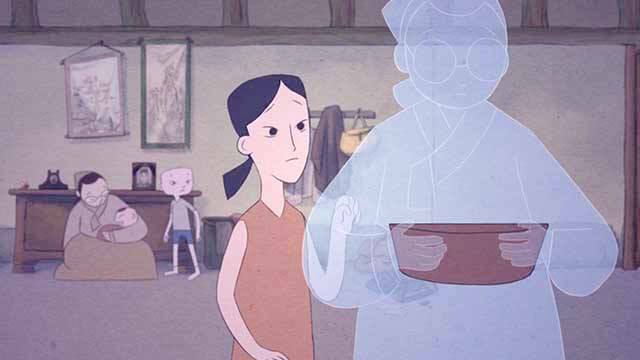 This is seen in ‘Mom’ : a young girl who becomes a mother, sees her own daughter leaving home, and leaving her lifelong work and role of being a mother. As the landscape changes, so does her attachments and emotional longing. What’s left for her is loneliness, she’s seen alone, pining for what her own mother was to her. Take a closer look at your mother’s hands, and you’ll see her joy and her sorrow. Age is not kind to anyone, but especially so for women who exhaust their physical and emotional dedication to their children. 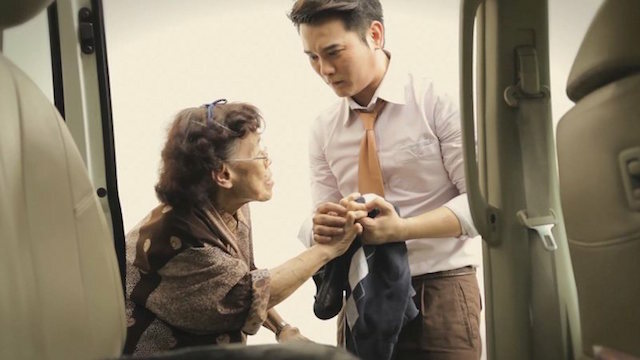 This is as seen in ‘Filial Haven’, where a worn sweater is mended and re-gifted to a son, simply because this mother wanted her son to dress warmly. This scene also takes place at an old folks’ home, which was the practical decision for end-of-life care even though she is perfectly able bodied. She is resigned to her fate, even with her farewell. 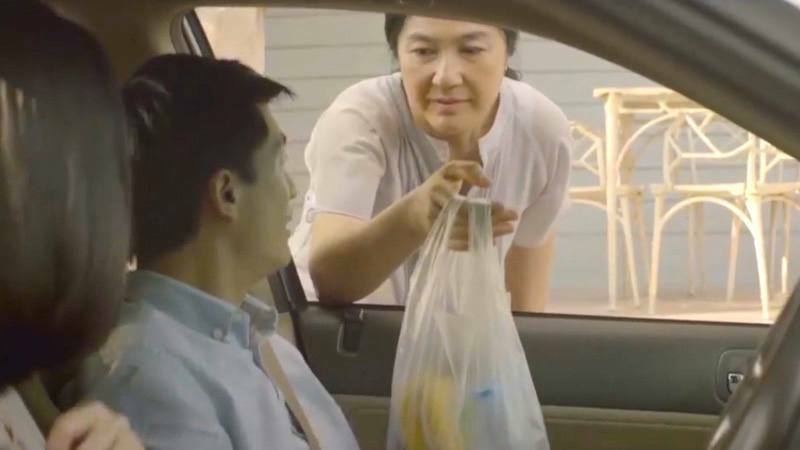 As in Filial Haven, we see also see a mother resigned to a similar decision in ‘Left’, in an especially contentious scene that takes place as the son and the daughter-in-law decides to send the mother away. She pleads in the backseat to adapt to their lifestyle and cost of living, as a heated argument begins. #3 – Mothers Always Provide. But Why Should They? In her private moments, and especially as a sole provider in her child’s well-being, a mother’s despair and exhaustion is never heard. This is seen in ‘Mother’, where her flesh, spirit and sold persists as she collapses in exhaustion. And even when a mother can’t physically care for a dependent, she tries to provide, as in Ten Thousand Bowls (SG). There aren’t enough examples of a mother’s selfless love and the bitter lessons we learn about it. In Hikikomori (MY), a selfish son who tries to swallow his arrogance and a late dinner spread his mother laid out for him, after they exchanged heated words. Watch All Short Films Here! In ‘Changing Batteries’ (MY), a mother develops a relationship with a robot, a gift from her absent son. Their companionship blossoms, the robot that becomes her companion long into her golden years. And so we watch as the robot “son” begins to take the place of her real son, and we watch with eyes brimmed in tears as she, too fades away. As our mothers will, too, someday. Mothers could give up on us, they could forget to feed and clothe us, and they could very well be selfish enough to say my work is done here, and walk away. To the mothers who haven’t, and to the mothers-to-be who face this task with fear, courage, and love. We don’t deserve this. Happy Mother’s Day. Watch our special Mother’s Day Playlist on Youtube: Never Forget This About A Mother’s Love. Their Children Are Disabled. But These Mothers Refuse To Give Up. She Breaks Down, So Do We! This Is A Tribute To Mothers’ Indomitable Spirit.